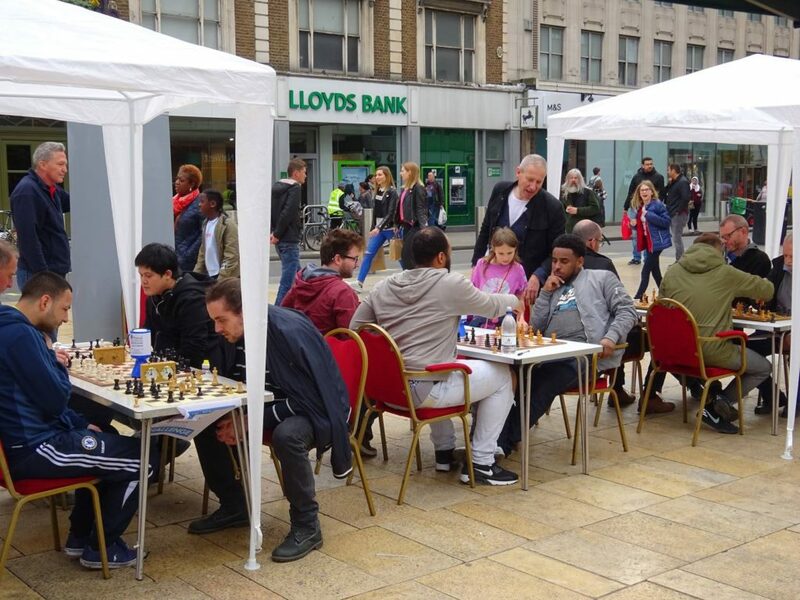 SAVE THE DATE – The importance of 19th May 2018 cannot be stressed enough – not only are Harry & Megan tying the knot with the FA Cup final kicking off later in the day, but the BIG news is that Hammer will be bringing chess to the streets of Hammersmith again – or to be precise, Lyric Square. 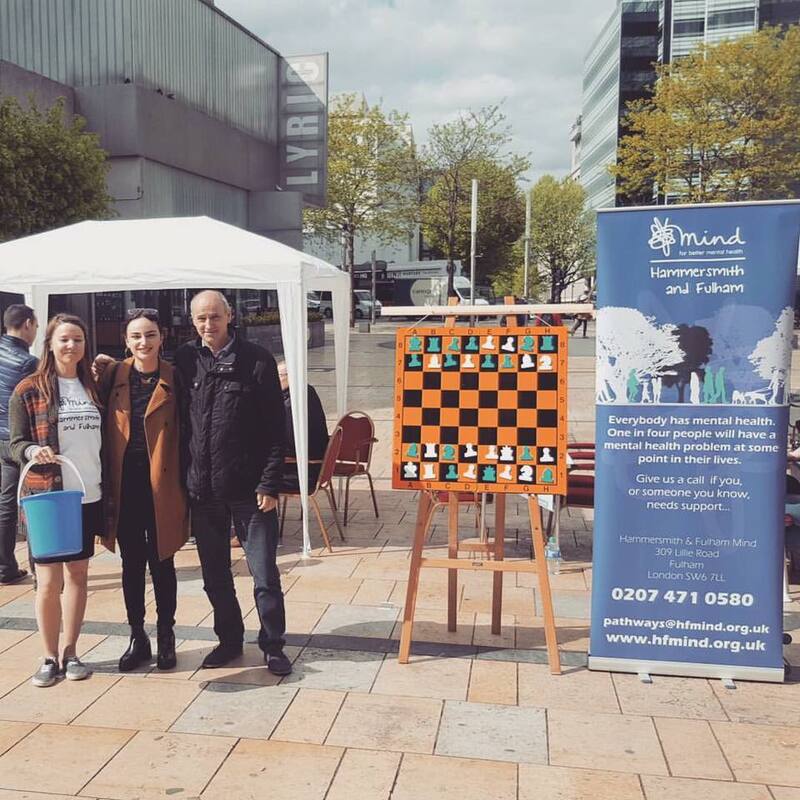 After our hugely successful event last year in conjunction with mental health charity, Hammersmith MIND, we are again venturing forth to raise awareness of mental health, raise some funds for that worthy organisation, and raise the profile of Hammersmith Chess Club. This is a quick reminder to pledge your time & attendance in some capacity on the day – whether the full day, a few hours, or just some help with logistics, it is all hugely appreciated! We will be setting up from 8.30am in the morning, with the official start at 10am. We’re scheduled to be there until 4pm, and then probably retiring to the Albion to enjoy the FA Cup final. Those of us who took part last year will recall what a memorable and worthy event it was. There is a huge appetite for the game amongst the good people of Hammersmith, and they are generous folk when it comes to giving to charity too, as we raised over £400 for the Hammersmith branch of MIND – a total we are hoping to smash this time round.